It doesn’t arouse any debate to say that this current presidential administration is the most controversial in recent memory. Seemingly every other week we hear about some scandal or international row. But in this crisis of diplomacy, the markets are signaling an opportunity — look to defense stocks to buy. Throughout his contentious electoral campaign, President Donald Trump promised to restore American pride and strength. That of course is best accomplished with a huge influx to military spending, which logically benefits defense stocks. Indeed, the benchmark exchange-traded fund iShares U.S. Aerospace & Defense ETF (NYSE:ITA) enjoyed a banner year in 2017. However, this year, we’ve seen a noticeable slowdown. While defense stocks are generally doing well, we haven’t seen the type of decisive bullishness that defined Trump’s inaugural year. I find this dynamic a strange one considering the many tailwinds at play. No matter how you look at it, the Trump White House inherited both the good and bad from the Obama administration. The good part we already know; namely, the economy. But on the other side of the coin, the world didn’t automatically become safer when “The Donald” became POTUS. Quite the opposite, I see even more geopolitical tensions rising. Not only that, the paradigm for defense stocks has shifted. We have a new era of warfare, along with new customers and theaters of operation that were not prevalent during the 20th century. A millennia ago (or maybe it just feels that long), AT&T (NYSE:T) used to run an advertisement campaign with the slogan, “reach out and touch someone.” I know it will run afoul of trademark laws but defense contractor Raytheon (NYSE:RTN) should really pick it up. RTN stock is probably best known as the investment underlining the Tomahawk cruise missile. Launched from either U.S. Navy ships or submarines, nothing strikes more fear among our enemies than a guided explosive. Much more importantly, it keeps our men and women in uniform out of harm’s way. Indeed, RTN stock represents the new class of warfare. Rather than an outright show of force, military contractors are thinking smarter. A prime example is Raytheon’s Griffin missile. Measuring only 43 inches and weighing 34 pounds, the Griffin allows light infantry to fight well above their weight class. Considering that our “hotspots” involve surgical precision, such as in Syria, RTN stock is one of the most relevant defense stocks to buy. While Raytheon attracts most of the mainstream media’s attention, they’re not the only advanced ordnance manufacturer in town. General Dynamics (NYSE:GD) is one of the most recognized defense names, and offers an attractive counterpoint to commonly bought companies. A position in GD stock gives you an attractive portfolio of light and heavy weapons systems. 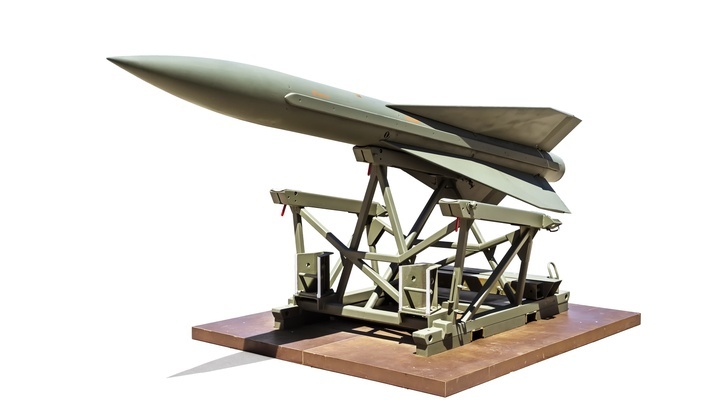 A highlight within this product pipeline is the MAULER, which stands for Multipurpose Assault Utility Launcher and Encased Rocket. As with the previously mentioned Griffin, the MAULER is a versatile light-infantry system. It can be fired at enemy targets from inside an enclosure, or out in the open terrain. This distinctive missile launcher is compact enough to carry around, but powerful enough to take down urban structures. GD stock currently underperforms the broader markets, down 6% year-to-date. But I believe this is a great opportunity to go contrarian. Invariably, our standard of quick, concentrated warfare will move General Dynamics higher. The U.S. is the premiere arena for defense stocks to buy. That said, investors shouldn’t ignore foreign military contractors like the U.K.-based BAE Systems (OTCMKTS:BAESY). Really, thanks to President Trump, every speculator should consider acquiring a position in BAESY stock. For one thing, this administration has routinely demanded that our military allies do more for their defense. I suppose Trump has a point, but no one likes to be called out so bluntly. That favors BAESY stock, which as a British unit avoids the current political stigma. Not only that, BAE has a strong relationship with the Commonwealth, which they advantage. But the more important factor driving BAESY stock longer-term is the underlying company’s technological advancements. BAE engineers are currently working on cyber-defense capabilities for military aircraft. Once launched, military operators can detect and address cyberattacks immediately. I don’t need to remind people how the ongoing Russian meddling investigation has a direct impact on this innovation. 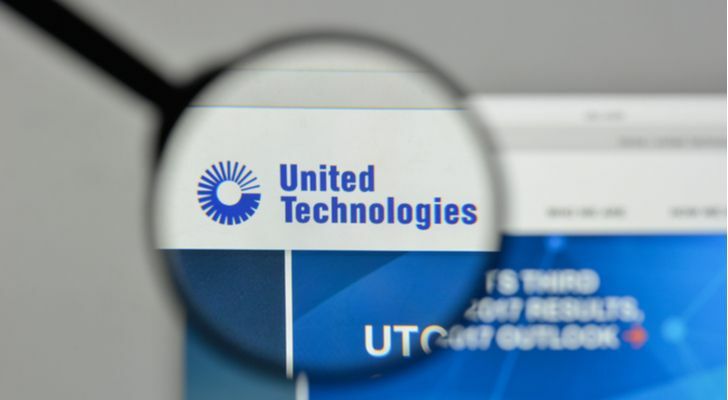 United Technologies (NYSE:UTX) had a choppy start to this year. Nevertheless, by the second half, UTX stock was rocking and rolling. Unfortunately, last week’s broader market collapse brought the shares’ upside momentum to a shuddering halt. Still, I wouldn’t get too down on United Technologies. Despite some disappointing trades, UTX stock has a decisive advantage over other military contractors in their product versatility. For instance, the multi-varied tech firm has renowned expertise in air management and engine systems. This has both military and civilian applications. A missile-deployment system on the other hand? Not so much. Another reason to consider UTX stock is that the underlying firm is well positioned in space technologies. That’s extraordinarily relevant considering that President Trump is adamant about establishing a Space Force. Whether you believe that space is the final frontier or made in a Hollywood basement, United Technologies should rake in the money. The first part of this list of defense stocks to buy has been dominated by next-generation weapons manufacturers. This of course is deliberate and logical: new paradigm problems require new paradigm solutions. That said, nothing projects power better than good ol’ fashioned airpower. 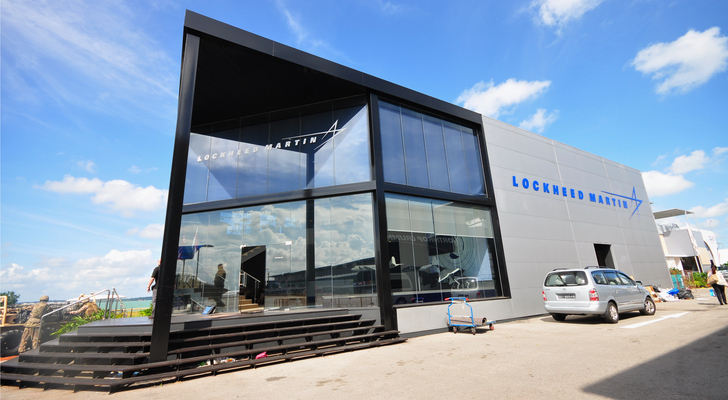 For that purpose, we have Lockheed Martin (NYSE:LMT). Despite some high-profile controversies, no one produces better fighter jets. With LMT stock, you have exposure to the U.S. Air Force’s fleet of advanced warcraft, including the awe-striking F-22 Raptor and the F-35 Lightning II. Moreover, Lockheed owns the F-16 Fighting Falcon. Originally developed by General Dynamics, the F-16 is both cost and operationally effective. Although LMT stock hasn’t exactly produced a convincing performance in 2018, I expect that to change in the years ahead. Keeping belligerent nations like North Korea in check without a hot conflict will require a show of force. Letting dictators hear the cacophony of F-35s buzzing overhead? I think that’s the very definition of speaking softly and carrying a big stick! If and probably when our nation engages in another armed conflict, we will need first-strike capabilities. I can’t think of a better company for this purpose than Northrop Grumman (NYSE:NOC). Most investors undoubtedly associate NOC stock with the B-2 bomber. Similar in aesthetic design to Nazi Germany’s Horten Ho 299, the B-2 is a truly menacing warcraft. Utilizing ultra-top-secret stealth technology, this bat-winged behemoth doubles as a psychological weapon: you never know when one is about to light you up like the Fourth of July until it’s too late. Northrop Grumman is closing in on releasing the B-2’s successor, the B-21 Raider. If it’s anything like the original, it should help the bull case for NOC stock. Beyond their expertise in stealth bombers, Northrop Grumman has an extensive portfolio in relevant military tech, including cybersecurity. Ultimately, no matter what situation the U.S. military finds itself in, Northrop has a solution. That’s why you should ignore the nearer-term noise and focus on the bigger picture for NOC stock. Since the end of World War II, Japan’s military has focused solely on defense per the terms of its surrender. Throughout most of the 20th century, the U.S. has essentially shielded Japan under a mutually assured destruction umbrella. But in the new century, this relationship is no longer adequate. As a result, investors should consider Mitsubishi Heavy Industries (OTCMKTS:MHVYF) as a longer-term speculation. Buying MHVYF stock gives you exposure to multiple civilian-related businesses. 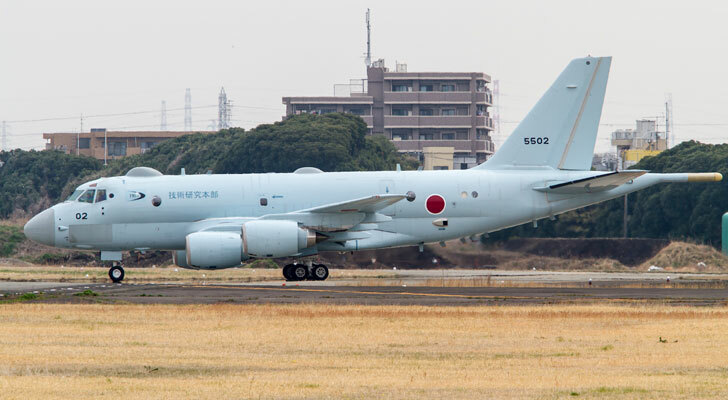 But according to the Nikkei Asian Review, Mitsubishi is Japan’s biggest defense company. I must warn that MHVYF stock is not an easy opportunity. Certainly, it will require patience. The Trump administration’s America First policy means that U.S.-based defense stocks represent the go-to choices. That said, I don’t share the same pessimism that critics have towards Japanese military companies. My most obvious argument is that the Trump administration is not guaranteed another four years. At this rate, it’s not guaranteed four more months. Another point is that Japan doesn’t see the U.S. as a reliable ally. Trump’s questionable rapprochement with North Korea’s Kim Jong-un, along with his bromance with Russia’s Vladimir Putin, drives the point that Japan must seek at least a modicum of military independence. Again, it’s not a perfect situation, but keep a close eye on MHVYF stock. Popular Mechanics contributor Kyle Mizokami recently featured Japan’s latest weapon: a supersonic “gliding” missile. The technology behind the weapons system is impressive. Indeed, Mizokami asserts that there’s nothing quite like it. But I’m more interested in the geopolitical implication that Japan is no longer a defense-only military power. If (and more likely when) Japan engages its first hot conflict since World War II, the sea is the island nation’s best friend. As such, if you’re looking to speculate on Japanese defense stocks, take a look at Kawasaki Heavy Industries (OTCMKTS:KWHIY). KWHIY stock gives you exposure to one of the nation’s biggest military contractors. Primarily, Kawasaki specializes in submarines and patrol vessels. The former is crucial for Japan’s strategy of anti-access/area-denial (A2AD), or choking off crucial shipping lanes. The latter is presently useful for establishing territorial presence and control. But the paradigm shift in Japanese constitutional boundaries means that companies like Kawasaki are no longer limited to just A2AD. In the years ahead, we can easily see Japanese warcraft fitted with offensive capabilities for a preemptive first-strike approach. That could send KWHIY stock soaring from its present lows. In the 20th century, Americans had the “luxury” of wars that occurred on foreign soil. But as the horrors of the Sept. 11 attacks demonstrated, the new geopolitical paradigm has no boundaries. Brutal warfare can erupt at anytime and in any manner. Given that domestic terrorism is a near-inevitability, buy-and-holders should consider Booz Allen Hamilton (NYSE:BAH). Although it’s not the most popular name among defense stocks, BAH stock is extremely relevant in contemporary times. For years, Booz Allen Hamilton has specialized in cybersecurity. But rather than focus on typical hacking incidents which usually have a financial motive, the company instead eyes national security. Utilizing complex, proprietary algorithms, their analytics can sift through multiple communication channels to find potential threats. The biggest issue for the U.S. is that domestic terrorism, and especially cyber-terrorism, is asymmetrical. This means that a small entity can lever a disproportionately large impact. Booz Allen Hamilton fights this asymmetry first-hand, providing a significant impetus for BAH stock. Sometimes, you just need to kill someone the old-fashioned way. While almost all of the defense stocks listed here offer creative solutions to dispatch enemies, a bullet is also effective. That’s why even in this new military paradigm, investors should consider Olin (NYSE:OLN). An ammunition and chemicals company, OLN stock still has a relevant role to play in modern warfare. Military operators recognize Olin for providing the mainstay of small-caliber rifle ammo. But with so many advanced tools at our forces’ disposal, firearms-related investments seem anachronistic. However, due to the threat of electromagnetic pulse (EMP) attacks, those electronics-based innovations can be quickly rendered useless. That’s why OLN stock is really a no-brainer at the right price. Nothing replaces a well-trained soldier with a gun. And with OLN stock facing significant volatility recently, speculators should keep shares on their radar. Article printed from InvestorPlace Media, https://investorplace.com/2018/10/10-defense-stocks-to-buy-for-a-changing-world/.